These familiar words from one of Arthur’s current favourite songs are fast becoming the refrain for our ongoing adventures in the world of sleep. Ah yes, the dulcet tones of a waking toddler deep in the middle of the night. Always, of course, at just that precise moment when you have managed to find a little corner of bliss in your own slumbers. We haven’t had things easy over the past couple of years as far as sleep’s concerned. Not that we’ve exactly made it easy on ourselves… Embracing extended breastfeeding and co-sleeping whilst shying away from any form of sleep training was always going to elongate the process. At least that’s how it felt every time I spoke to someone who’d chosen a more conventional path. But actually, over the past month or so, things have definitely begun to change. 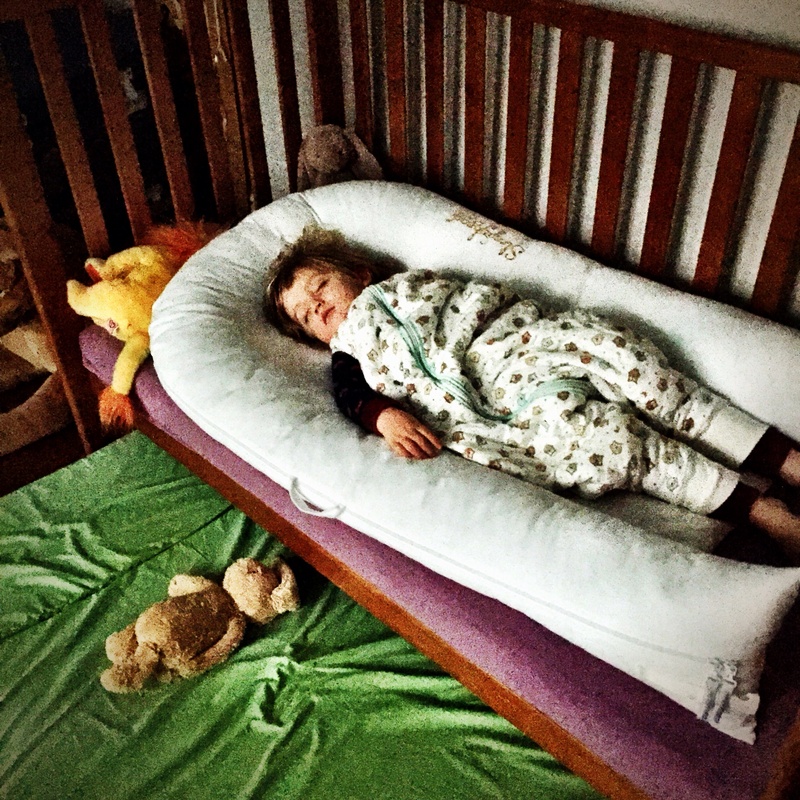 Once he got over the pure excitement of having the sides off his cot Arthur really began to embrace his new sleeping quarters. We even had (whisper it) a couple of nights where he slept through and woke happily of his own accord around 8am, chatting away to his toys until we went down to greet him. And then of course he got sick. And the fever woke him every hour and all that would make him feel better was booba. And when that had passed the lingering cough punctuated all our night times and it was just easier to bring him in with us. And then he got better. And this week we’ve had some of those magical full night’s sleep experiences again. But, looking at all of this on balance, I would say we are most definitely making progress. And I’m happy that we’ve done it without ever having to leave our son crying in the dark, alone. He really loves bedtime at the moment. His face lights up when it’s time to go upstairs, and he enjoys every second of his little routine with daddy. Teeth, the ritual washing of selected bath toys, nappy, pyjamas, stories. He has acquired a sleep sheep – at first this was a purple plastic number which conceptually seemed to soothe him, but we’ve since progressed to a silky squidgy Welsh creature which is far more comfy to cwtch up with. I still step in for the closing moments, cuddling up with Arthur in the dark for some bedtime booba. But often now he’ll happily lie down awake, and be asleep within seconds. Most of the time when he wakes in the night he’s happy to settle himself. The times when he cries out for us and needs our comfort are getting less frequent. Though we still always go to him then, and we still have a bedside cot in our room for when he just needs to have us close. As I write this I can hear him fidgeting over the monitor, and no doubt after a few steps forward we’re now due a step back. But we are getting there, and the holy grail of an uninterrupted night’s sleep might just be in sight. In fact we’re leaving him overnight for the first time ever this Saturday whilst we enjoy a bit of well overdue romance. And do you know what? I think he’s going to be alright. 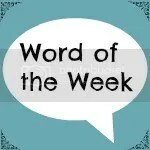 My word of the week this week is sleep. This entry was posted in Sophie is parenting, Uncategorized and tagged Attachment parenting, sleep, toddler on February 13, 2015 by sophieblovett. Ah sleep, I miss sleep. I hope you get lots of steps forward soon and not many steps back!. Boo went in to her own room at 6 months, but we still carried on with night feeds (on a bed in her room near the cot) until she was about 11 months old, it was only then that I felt she was ready to go the night without the night feeds (acid reflux has meant that she always fed little but often) we didn’t really do much ‘sleep training’ just following Boo’s lead and had a couple of weeks where the hubby went in to settle her instead of me (again something she couldn’t handle until she was about 11 months old – if it was dark and nighttime before then it had to be me in her room or she would become hysterical) we are finally making some slow progress, we do get some nights where there is only a few wakings and she has started to settle herself. I think it’s going to be a long process! Love your ‘whisper it’ …That’s exactly how it is. You almost feel that you can’t even say it out loud or believe it might be a ‘thing’ …But it might be!! Or at least it was a few nights of …And even that’s worth celebrating! I hope you find your own wonderful sleeping pattern again soon.